#stampinup #saleabration2018 #faithfulinkspirations Sale-a-Bration ends in less than two weeks--but there's still time to get in on all the action and get some FREE stuff! Who doesn't like free stuff?! One of my favorite choices of all the FREE SAB products are the Tutti-Frutti Cards & Envelopes. 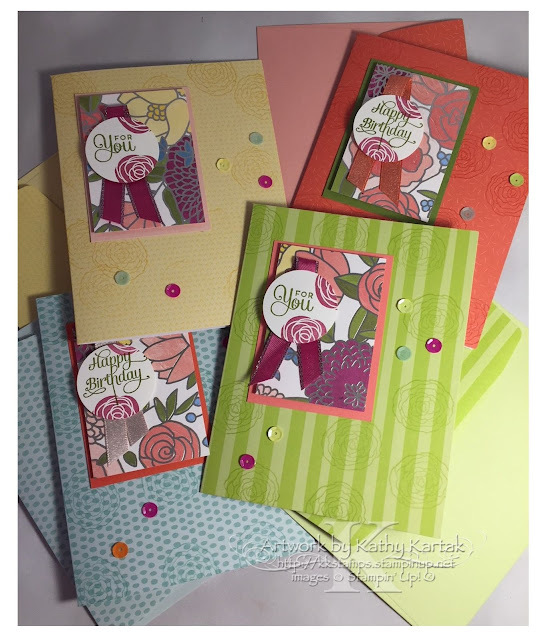 You get 16 pre-printed card bases and envelopes, 4 each of 4 designs in Calypso Coral, Daffodil Delight, Lemon Lime Twist, and Pool Party. They are adorable!! 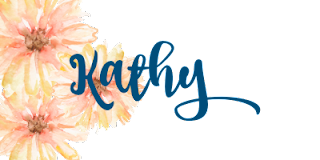 If you want to get them for FREE, all you have to do is place a $50 order with me and you can choose the cards as your free Sale-a-Bration item. Since these cards are meant to coordinate with the Tutti-Frutti product suite in the Occasions catalog, you could order the Fruit Basket Bundle ("Fruit Basket" stamp set and Itty Bitty Fruit Punch Pack), item 145977, $35, AND the Lemon-Lime Twist Mini Striped Ribbon, item 145611, $8, AND the Tutti-Frutti 6" by 6" Designer Series Paper Pack, item 145606, $10, for a total of $53 and then choose the Tutti-Frutti Cards & Envelopes as your FREE SAB item (147242)! I actually used the Sweet Soiree Bundle of products for my cards. But first, let me show you the OG card that inspired me. My friend, Chris Riley made this card to congratulate me on being chosen as a display stamper at the upcoming Stampin' Up OnStage Local event in Harford, Connecticut. 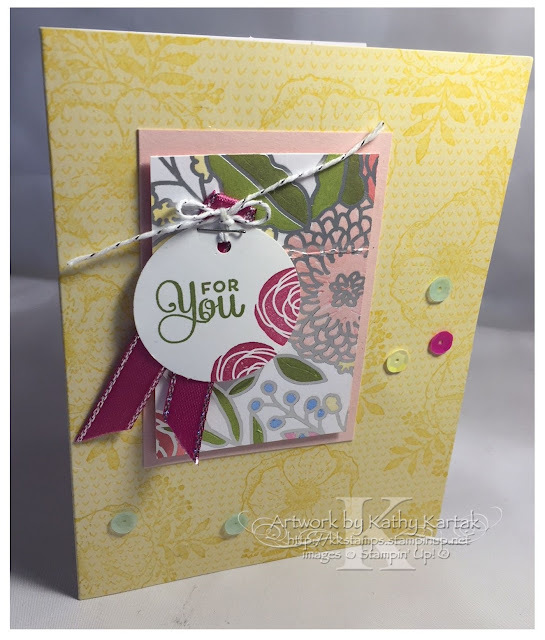 Chris used the flower from the "Amazing You" stamp set that's another FREE Sale-a-Bration item! She stamped the flower in Daffodil Delight Ink onto the Daffodil Delight Card. Chris used Stampin' Dimensionals to adhere a 2" by 3" piece of Sweet Soiree Specialty DSP and to 2-1/4" by 3-1/4" piece of Powder Pink Card Stock. She stamped a sentiment in Old Olive and the floral image in Berry Burst Ink from the "Cake Soiree"stamp set onto a 1-3/8" circle of Whisper White Card Stock. She used the 1/8" Hand-Held Circle Punch to make a hole in the tag, tied on a length of Silver Baker's Twine and stapled it to a length of Berry Burst Metallic-Edge Ribbon before adhering this to the DSP. 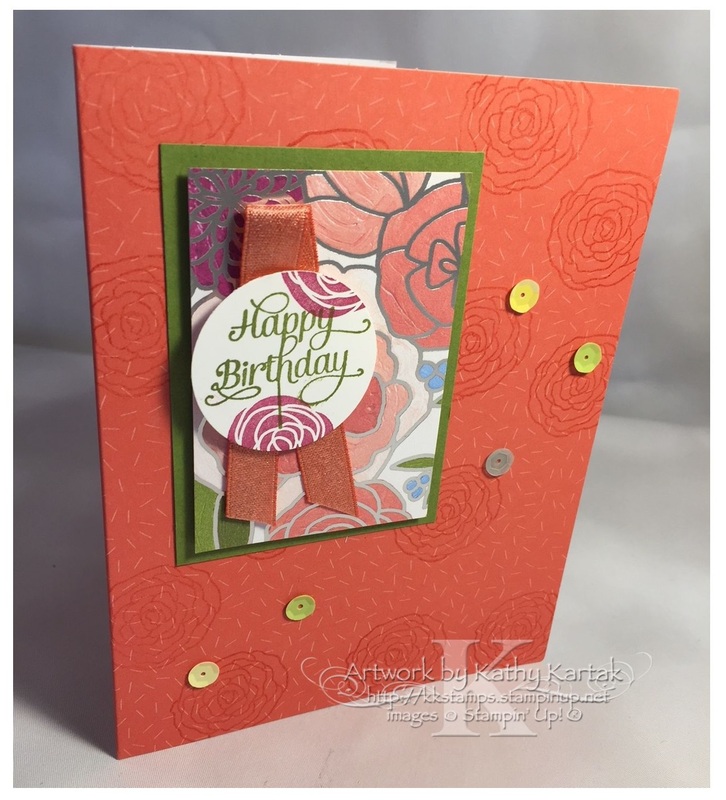 For a finishing touch, Chris added some Tutti-Frutti Adhesive Backed Sequins to the card. So cute!! I loved Chris's card so much that I made my own set. I used one of the flowers from the "Cake Soiree" stamp set where Chris had used the "Amazing You" set. I also used different colors of card stock and ribbon to coordinate with the Tutti-Frutti note cards. But the design is all Chris's! Here's my card in Calypso Coral. Here's the set of cards done with Chris's design. I made two of each of the four colors. Look at the adorable matching envelopes! I put my cards in one of the Acetate Card Boxes and wrapped a Sweet Soiree Specialty DSP belly band around. The band is 3" by 12", scored at 3-1/2", 4-1/4". 8-3/4" and 9-1/2". I used Tear & Tape to secure the band. 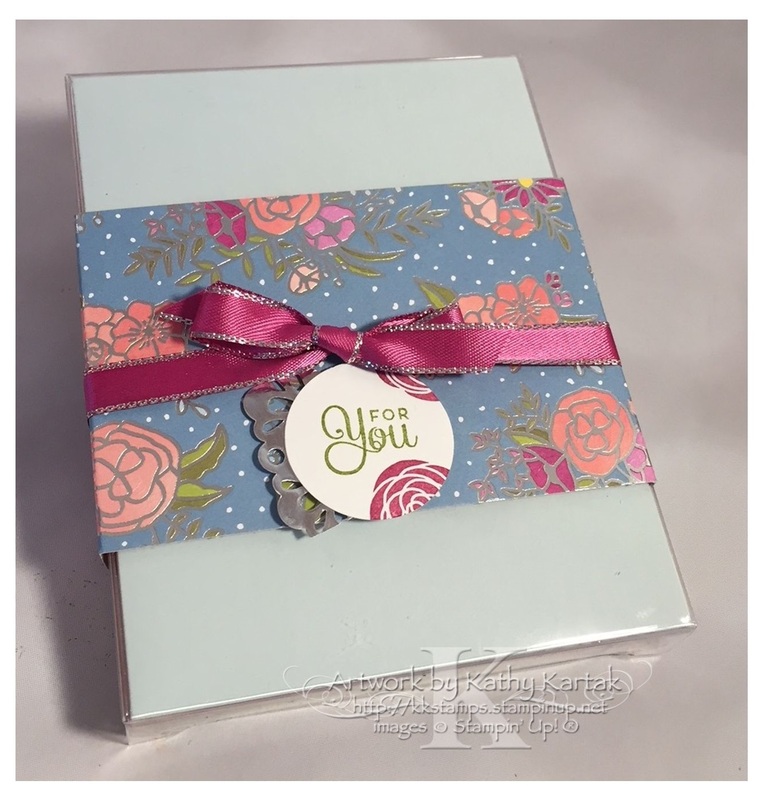 Then I tied on a 20" length of Berry Burst Metallic-Edge Ribbon, added a piece of a Silver Foil Doily to a tag that matches the cards and adhered this to the box. What a pretty gift for someone special! If you've got Sale-a-Bration items on your wish list, don't delay because SAB ends on March 31! !